Royal Academy of Dance ballet exams are tentatively set to begin March 4th 2019. Registration forms should be completed and returned to the office with payment by December 22nd (last day of classes before Winter break). Miss Sarah will be handing out registration forms to students during class. If your child does not take a lesson from Miss Sarah but wishes to take the RAD ballet exam, please bring her to one of Miss Sarah’s classes for an assessment at no charge. MPAOD offers the Royal Academy of Dance (RAD), an internationally recognized portfolio of examinations, which is designed to motivate and encourage students of all ages and levels of ability through a systematic measurement of progress and attainment. Examinations are organized and administered by the RAD Examinations. 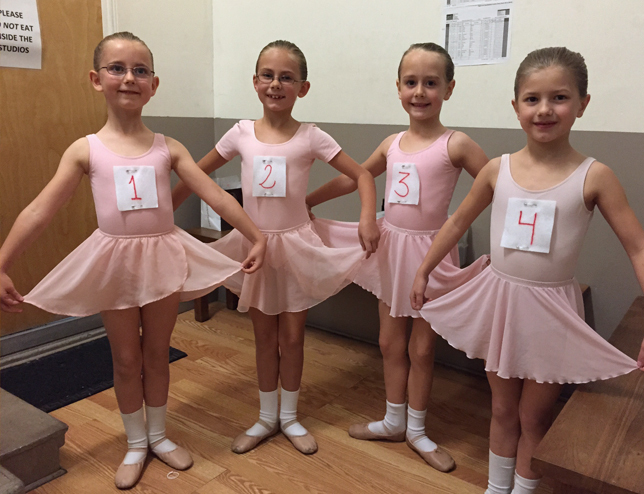 MPAOD requires RAD examination students to take two ballet technique classes a week for Grades 2, 3, 4 & 5 levels for the entire school year. For Primary & Grade 1 levels, students are required to take an additional second class after signing up for the exam on December 1st. The Graded Examinations in Dance syllabus provides a broad practical dance education and develops technical, musical and performance skills. It incorporates ballet, free movement, and character dance and is appropriate from the age of six years. 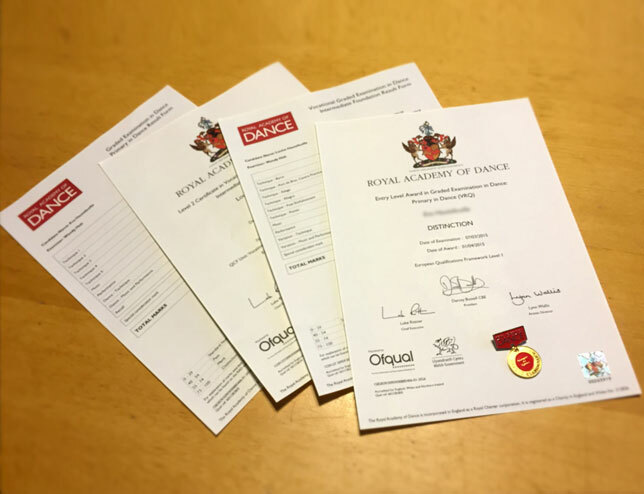 The Vocational Graded Examinations in Dance syllabus provides an in-depth study of ballet, develops technique, music and performance skills, and introduces pointe work for female candidates. It prepares students for a career in dance and is appropriate for students from the age of 11 years. The Solo Seal Award is the highest level Vocational Graded examination and focuses on solo performance.